WELL OF COURSE SHE ENDORSES RUBIO, DID YOU THINK SHE WOULD EVER ENDORSE TRUMP? Popular South Carolina Gov. 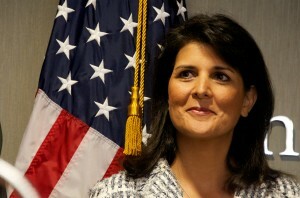 Nikki Haley endorsed Florida US Sen. Marco Rubio for president yesterday just ahead of this weekend’s SC primaries. I mean, who did you think she was going to endorse, Donald Trump? After Haley gave the response to Obama’s last SOTU, she took jabs at Donald Trump that did not go unnoticed. This is going to be an interesting make or break Marco Rubio primary. Rubio has been endorsed by 3 of the most popular Republican politicians in South Carolina, Sen. Tim Scott, Rep. Trey Gowdy and now Gov. Haley. She has an 81% approval rating in South Carolina. The polls show that Donald Trump is way out ahead, but if Rubio does not place a strong second, the night will be a failure. Watch the below video from ‘On the Record’ with Greta Van Susteren. Just curious, was that an endorsement or a date? “I want a president who understands they have to go back to Washington, D.C., and bring a conscience back to our Republicans,” Haley, a Lexington Republican, told a crowd of hundreds gathered outside a Chapin warehouse. Haley said she made the decision as a mother who wants a safer, more prosperous nation for her children and as the wife of a combat veteran who wants more support for the military. 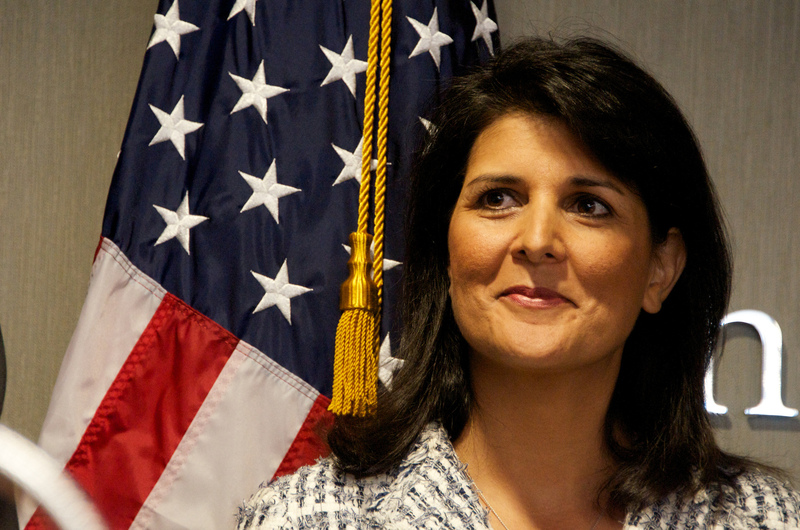 Haley did not say why she didn’t choose others candidates running in Saturday’s GOP primary. “We have good people running for president, and I thank them today for their sacrifice and their willingness to serve,” she said. “But my job was to find the person I thought who could do it the best. South Carolina Governor Nikki Haley goes to FN Manufacturing in Columbia, SC as she celebrates manufacturing in the Palmetto state. 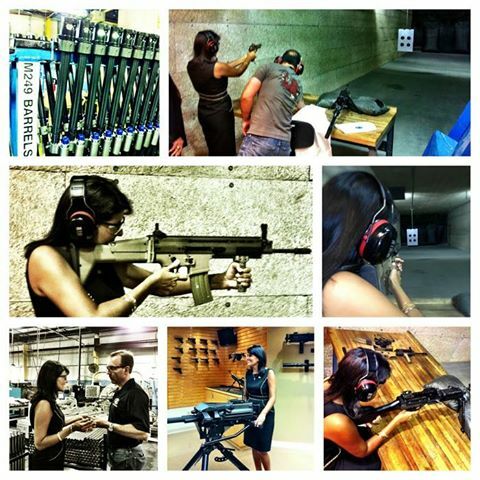 Nikki Haley toured FN Manufacturing in the state capital of Columbia. She has made political hay over luring another gun producer, PTR Industries, from the less gun-friendly state of Connecticut in June. South Carolina Gov. Nikki Haley is known for shooting from the hip. On Friday the Republican politician turned that idiom into a reality during a tour of a gun manufacturing plant, firing ‘quite a few’ guns on an indoor range, including a fully-automatic military machine gun. Look out Arnold. There’s a new Governor Terminator in town.